A graduate from the Whitehouse Institute of Design, Samantha focuses her vision and creative talent on all aspects of the design and construction process from concept, right through to coathanger. The natural world plays a major role in dictating the movement and functionality of every design as well as construction and for this reason, quality natural fibres such as merino wool, cashmere and silk are all favoured textiles that feature heavily in each collection. Each style is imprinted with an element of the designers fun and quirky creative sense and this is reflected in details such as oversized collars, layered cuffs or the freedom of a trapeze cut - subtle injections of artistic flair that add to the appeal of this affordable luxury brand. 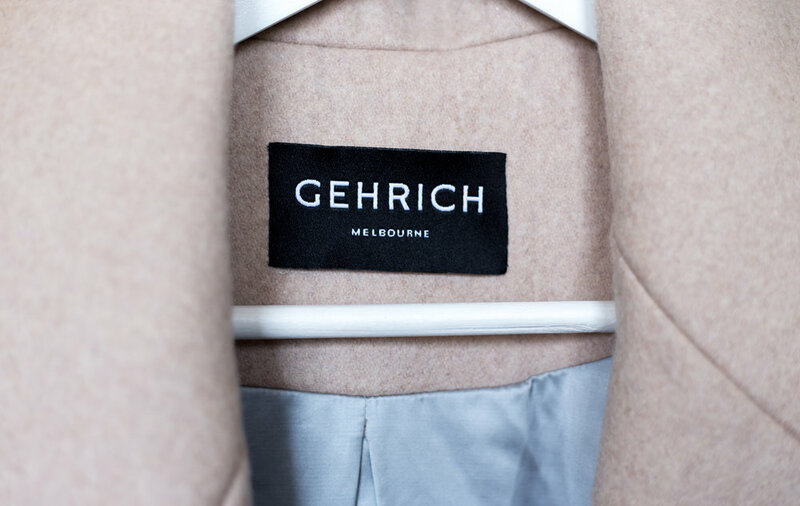 At Gehrich we incorporate core values of sustainability and ethical trade with the use of exceptional quality materials and construction techniques to offer pieces that are considered in design, limited in quantity and crafted to stand the test of time. Each Gehrich piece is an original design blending form, function and a playful sense of timeless style. With a focus on quality natural fibres and meticulous construction we create pieces to be worn and enjoyed season after season. By purposely limiting collection sizes we ensure a more exclusive and sustainable product while actively minimising our environmental impact. We are dedicated to fair trade and supporting local industry wherever possible in our supply chain. For this reason we proudly choose to manufacture our garments in Melbourne, Australia.